Abu Dhabi: The Louvre Abu Dhabi has acquired a rare 17th century oil sketch by renowned Dutch master, Rembrandt van Rijn, the museum announced on Sunday. The painting – Head of a young man, with clasped hands: Study of the figure of Christ – is one of a series known as Rembrandt’s Face of Jesus group, painted on oak panel. It depicts a black-haired man, illuminated and rendered through large-brushed gestures. Purchased by the Louvre Abu Dhabi in December 2018, the piece will be displayed in the museum as part its upcoming exhibition, Rembrandt, Vermeer & the Dutch Golden Age: Masterpieces from The Leiden Collection and the Musée du Louvre. The exhibition will be opened to the public on February 14. “Rembrandt is one of the most prominent figures in Western art history and this acquisition yet again highlights the remarkable quality of both Louvre Abu Dhabi’s permanent collection and its exhibitions programme. We look forward to seeing this work unveiled at the museum and confidently look to the future, as we continue to grow our collection and inspire cross-cultural understanding in visitors from all over the world,” said Mohammad Al Mubarak, chairman at the Abu Dhabi Department of Culture and Tourism. “Rembrandt was one of the greatest storytellers, with an exceptional ability to capture the human soul in his artworks. 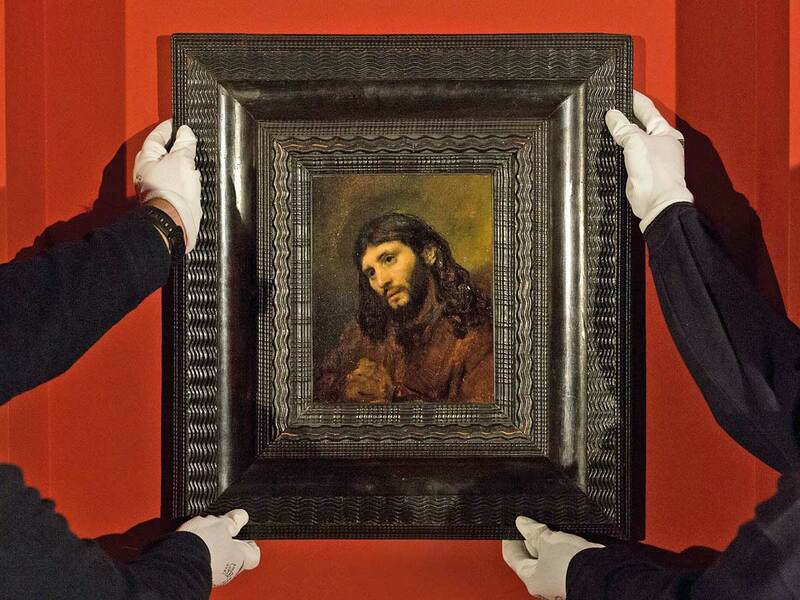 With this latest acquisition, the first ever Rembrandt joining a museum collection in the Gulf, our visitors can experience the power of his creations first-hand,” said Manuel Rabate, director at the Louvre Abu Dhabi. The painting will join the museum’s 650-piece permanent collection. Eleven of the pieces were unveiled in October 2018, including a monumental Buddhist sculpture from 12th and 13th century China, four tapestries from French royal manufacturers depicting The Hunts of Maximilian, and a rare piece of Ottoman horse armour. Head of a young man, with clasped hands: Study of the figure of Christ was painted by Dutch master painter and printmaker, Rembrandt van Rijn in the 17th century. It depicts a black-haired man with hands held humbly in prayer, and was recognised as Rembrandt’s work only in the 1930s. The same model appears in other works from around the same time by the Dutch painter. These works are known as the Face of Jesus group, which, when viewed together, reveal the way in which Rembrandt could find the best angle or profile of a model to portray Jesus ‘after life’. The large brush strokes used for the painting illuminate its subject, and also show that the work was completed rapidly.